There are many types of medications that increase blood glucose (sugar), causing high blood glucose (hyperglycemia). Many of these medications worsen diabetes or increase the risk of diabetes. It is important to know which medications can increase blood glucose so that diabetic patients can use alternative agents or monitor their glucose levels and use appropriate methods to maintain control. Here are 9 types of medications that increase blood glucose. Glucocorticoids are steroids and they affect how the body uses glucose. They affect the immune system and they are used for treatment of inflammatory, allergic, and immunologic conditions. Glucocorticoids are usually the most common cause of drug-induced hyperglycemia. Glucocorticoids cause an increase in blood glucose in various ways such as increased production of glucose in the liver, increased insulin resistance, and increased production of receptors (PPAR-gamma receptors) that regulate glucose uptake and conversion in the body. 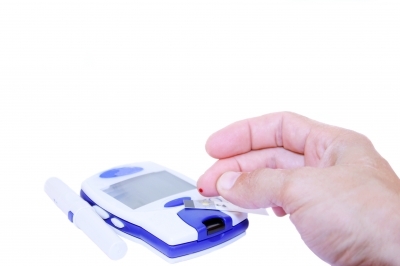 Patients that are treated with glucocorticoids should have their blood glucose monitored regularly. Inhaled steroids or creams are less likely to affect blood glucose levels. Antipsychotics are used for treatment of psychiatric disorders such as schizophrenia, bipolar disorder, depression, and borderline personality disorder. Antipsychotic medications are associated with weight gain, obesity, and increase in triglycerides which are risk factors for development of diabetes. The exact mechanism of how they cause diabetes is unknown. They may increase insulin resistance and decrease insulin release. Patients on antipsychotics should monitor their weight and blood glucose regularly due to the risk for developing diabetes. Clozapine, olanzapine, and chlorpromazine seem to cause the most weight gain and have a higher risk of developing diabetes. Conversely, aripiprazole and ziprasidone may have a lower risk of weight gain and development of diabetes. These medications suppress the immune system after organ transplantation to decrease the risk of organ rejection. Immunosuppressants can cause an increase in blood glucose and potentially cause new on-set diabetes after transplant (NODAT) in renal transplant patients. These drugs increase blood glucose by decreasing the production of insulin and insulin release. Patients taking immunosuppressant drugs should monitor their blood glucose regularly due to the risk of developing diabetes.